The Lemonaid & ChariTea Foundation supports the non-governmental organisation TECHO in Paraguay in their aim to conquer extreme poverty by offering a ‘Vocational Training Program’. The program is dedicated to those which either find themselves without employment or in precarious job situations. The Lemonaid & ChariTea Foundation supports TECHO in their efforts with the implementation of 10 vocational training’s since August 2017. TECHO operates in Latin America and the Caribbean and seeks to build a fair, integrated and poverty free society. Their vision, a society in which everyone is given the opportunities needed to develop their capacities and fully exercise their rights. It was founded in 1997 in Chile and has been active in Paraguay since 2008. TECHO closely collaborates with the communities they are cooperating with. The residents are encouraged to participate actively in the program and express their needs and wishes. The different implemented programs of TECHO include a Transitory Housing Program, a Tutorial Program for children and a Vocational Program for adults. Although Paraguay has experienced economic growth in the last years, it still remains one of the poorest countries in Latin America. The landlocked country has the second lowest per capita income of the subcontinent; 11 percent of the population live in extreme poverty. The main reason for this is not unemployment but rather precarious jobs and illicit work. Roughly 70 percent of all workers get paid less than minimum wage which lies at 300€ a month (Status July 2018). In order to overcome poverty and give people the opportunity to find a decent, well-paying job, TECHO has developed a ‘Vocational Training Program’. The participants are aged 16 to 50, and are either unemployed or cannot provide a decent living with their wage. The courses are based on a real needs analysis with the local community and are split into two parts. In the first part, the participants acquire a professional degree or certificate which enables them to find work in a particular profession such as hairdressing or bakery. These courses are held by professionals and institutions which already are working in the respected profession. To ensure that the participants attend the courses they have to pay a small fee. After they finished the program they can seek employment in the respected profession. The second part is made up by a general professional development training. In this training the participants adopt soft skills and tools which will help them to improve their chances in their professional life. In different courses the participants are encouraged to detect and develop their own capacities. Moreover, they are given information about the current situation at the job market. TECHO also encourages the participants and provides support to build up a network, so that in the future the community will be able to support each other when in need. Participants of a professional training programme. After the courses are finished the alumni have the possibility of receiving assistance from TECHO when opening their own businesses. 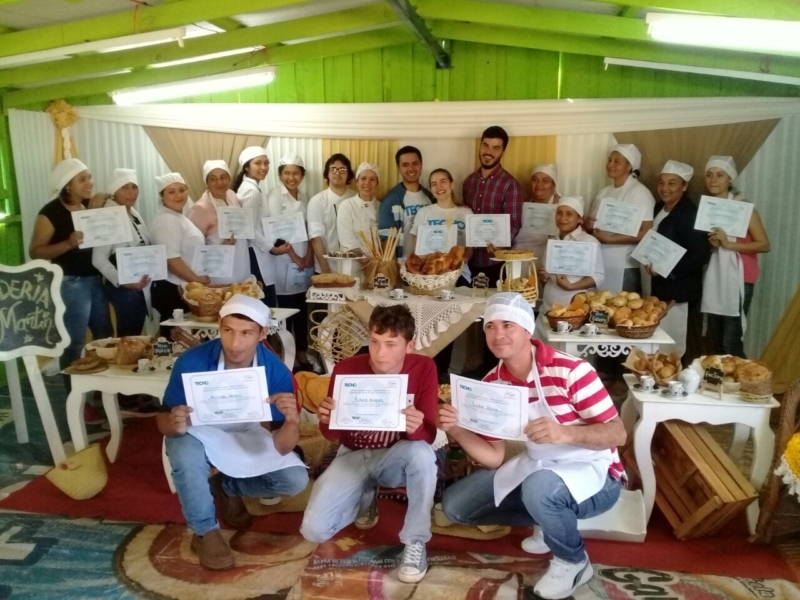 Former participants in the community of Cerro Corrá, for instance, opened a bakery after finishing the vocational course in bakery. TECHO supported them in building a suitable premise for their new business. 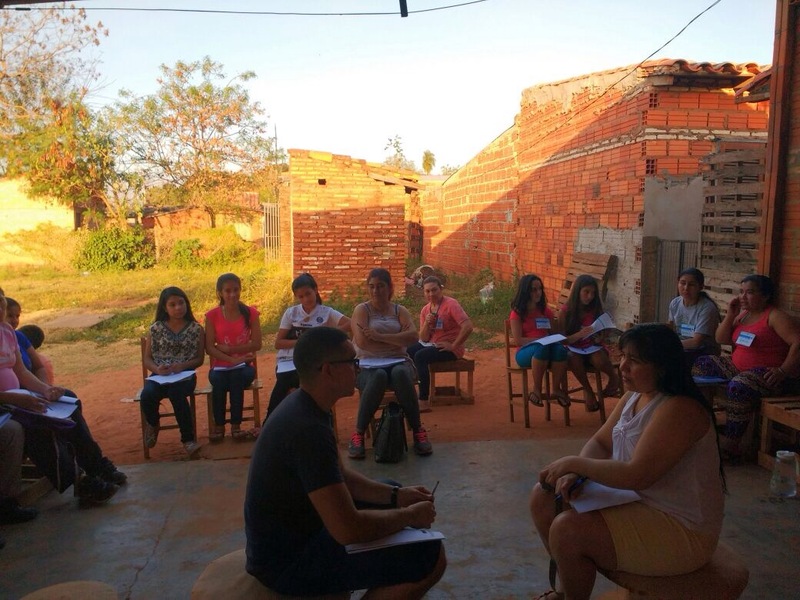 Through the cooperation of TECHO and the Lemonaid & ChariTea Foundation 10 of the Vocational Trainings are being implemented in different communities in Paraguay. This gives around 250 people the possibility to improve their professional perspective. Through the participative approach of TECHO not only the current demand on the local job market is determined but also the needs and capacities of each participant are being cared for and strengthened. In order to find the best suited job option for them.